Ontario Equestrian (OE) would like to congratulate the five junior members selected for this years Youth Bursary program. 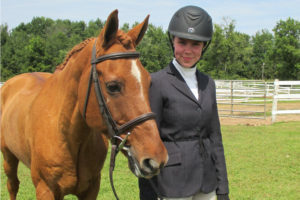 Each year Ontario Equestrian distributes a minimum of five $1,000 bursaries to youth based on their involvement with horses, their future goals, as well as letters of recommendations from their coaches. Family resources and academic achievements are also considered. 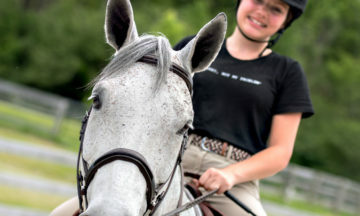 The bursaries can be used towards riding lessons, clinics, competition fees, continuing education and other activities that will help them develop their skills. 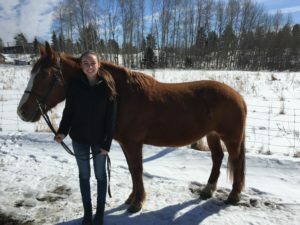 Delenn will be using her youth bursary money to repay the investment her parents paid for Equine Welfare Education and continue her riding skills in a certified lesson program. Aislin will be using her youth bursary money to take her EC rider certifications working towards a coaching certification and to show for the first time this year on the Challenge Series. 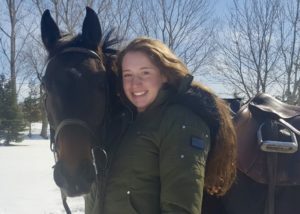 Dayna will be using her youth bursary money to complete her EC rider certifications, basic riding/showing attire and cost of team lessons with the equestrian club within her post-secondary school. 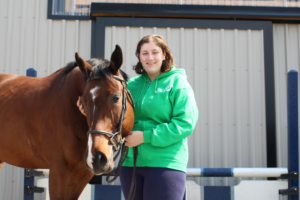 Krista will be using her youth bursary money to finance showing on the Ontario Hunter Jumper Trillium shows. 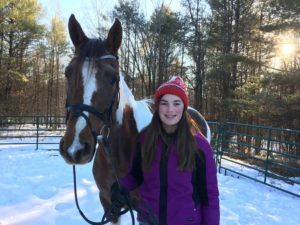 Alexis will be using her youth bursary money to financially support weekly riding lessons with the goal to show this upcoming 2018 season.